SIT is an integrated strategy; sterile fruit flies cannot do the job alone. Success with an SIT programme is dependent on being able to maintain a high ratio of sterile males to wild males in the field, in order to minimize the chance of a wild male mating with a wild female. 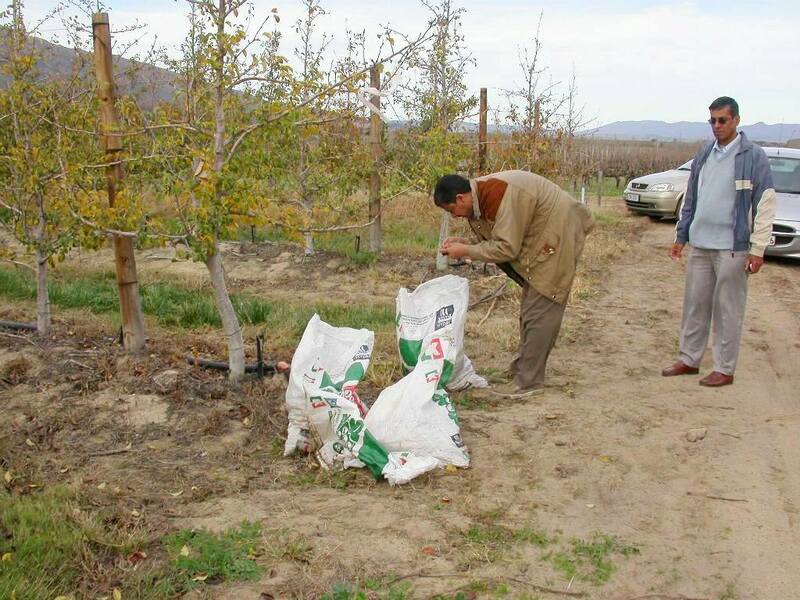 Good orchard/vineyard hygiene is essential in any fruit fly programme. 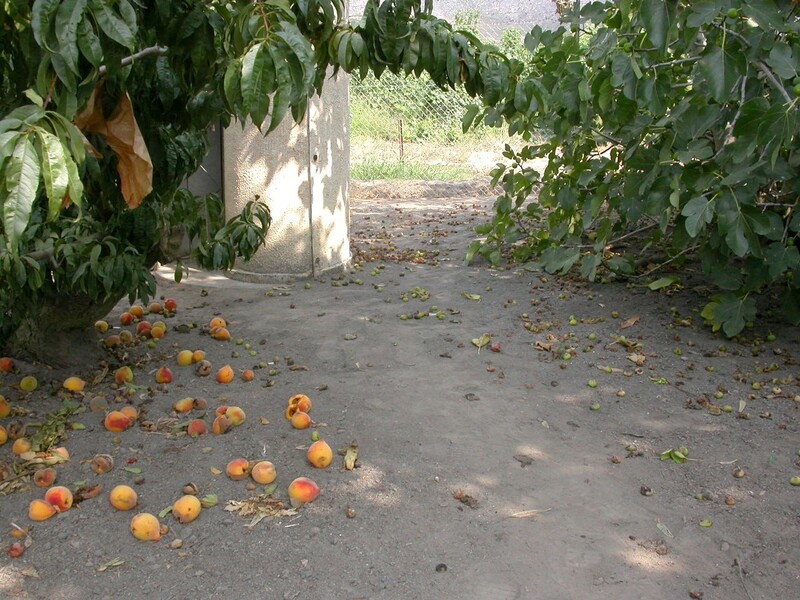 Fallen fruit often contains fruit fly eggs or larvae which will help sustain infestation in orchards and vineyards. In vineyards, fruit fly larvae can complete their development in “na-trossies” as they dry out and become raisins. Green fruit that is stripped from trees early in the season cannot later serve as fruit fly hosts. Good hygiene in home gardens is no less important, as home gardens serve as the main reservoir of the fruit fly breeding population through the year. All fruit fly-infested and fallen fruit must be removed and destroyed (e.g. by pulping, or placing in black plastic bags left in the sun), or buried at least 1 m deep. In vineyards, “na-trossies” are a major source of re-infestation and should be removed. Particular attention should be paid to home gardens. Where fruit trees have fruit that will not or cannot be used, this fruit should be completely stripped from the trees before it ripens and becomes attractive to fruit flies. The greatest source of fruit fly populations is from infestation of fruit in gardens, neglected orchards and vineyards, and in alternate hosts in e.g. municipal areas and in the veld. Unless these host plants and their localities are known and properly managed, fruit fly populations will never be reduced adequately. Fruit flies can breed in even small berries – it is critical that all potential breeding hosts and sites be identified and eliminated as far as possible. Remove, bait or strip fruit from all identified fruit fly host plants. 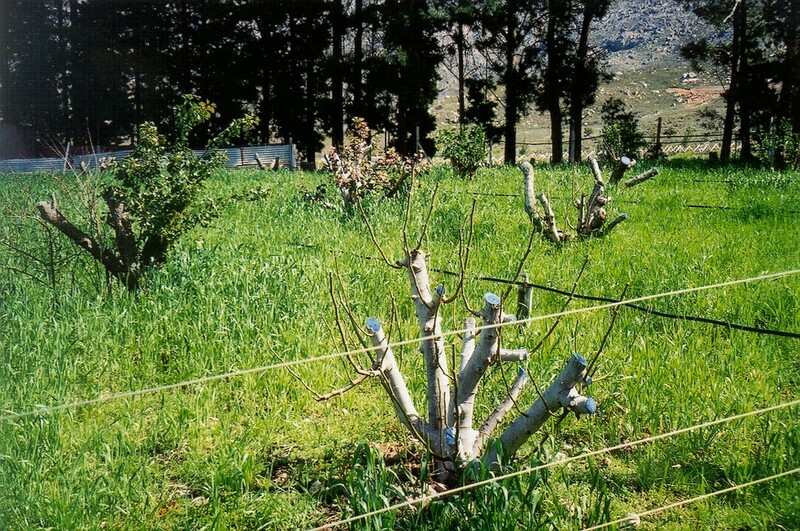 Domestic fruit trees from which fruit is never usable due to fruit fly infestation should ideally be cut down. Fruit collected from any of these host plants should be treated as described above in sanitation. Effective host plant management and sanitation must be continued after releases of sterile fruit flies start. Any fruit, wild, domestic or commercial, in which fruit flies can breed will be a severe threat to the success of the SIT programme. Large populations of fruit flies are found in commercial fruit plantings for only a limited period during the year – from just before until just after fruit-ripening. They do not breed year-round in these areas. Most fruit fly breeding takes place in home gardens, where there is an abundance of shelter in shade trees, food, and fruits of various types for the females to lay eggs in. Fruit flies move to commercial plantings mainly when this fruit starts to ripen, typically from December onwards. After harvest, from about July to December/January, virtually no fruit flies are found in commercial plantings – they are all in home gardens and neglected host plants. This is evident from the graph below, showing data from a table grape vineyard and a nearby residential area. While populations can be lower in gardens, they are present there throughout the year.